The real fun begins once you have the hang of driving these rousing 4-wheeled machines. Really good action and fun. Transfers from your hotel to the venue and back. All you need for this great quad biking experience provided. Everything in tour was very well organized: the hotel transfer, the equipment, the tour team, and finally the tour itself. 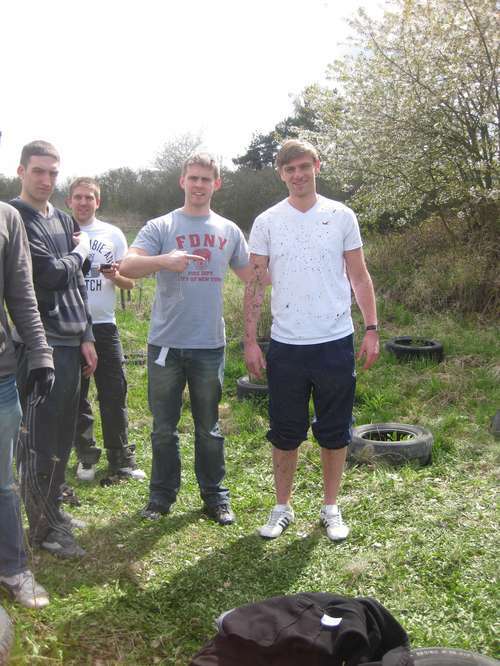 Great day out for a stag party. Organiser Martina was amazing and responsive. If you thrive on challenges, mud, jumps, and speed then this quad biking experience was made for you. 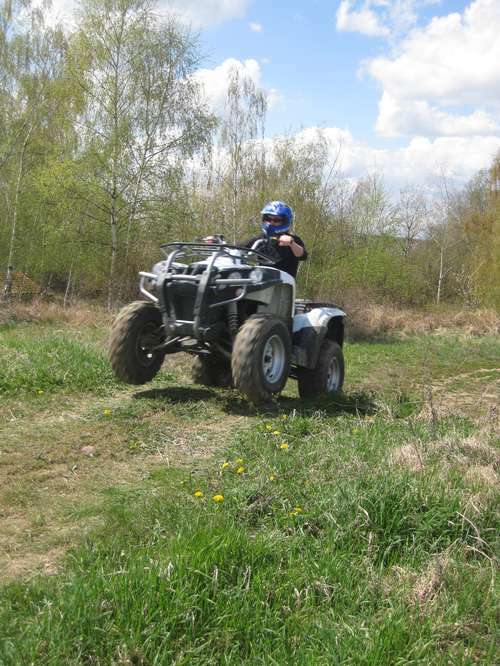 Experience the thrill and challenge of negotiating quads Viper RXL and Yukon ST EXL 150 and 250 cm3 (all-terrain vehicle) around the cross-country nature trail with it´s many jumps and curves. There is far more skill and technique involved than is commonly perceived, clutch control and the use of brakes or acceleration take on new values and once they have been mastered the fun begins. Your driver picks you up at any address in Prague you choose. Enjoy a comfortable ride in an air-conditioned minibus to the quad biking arena. 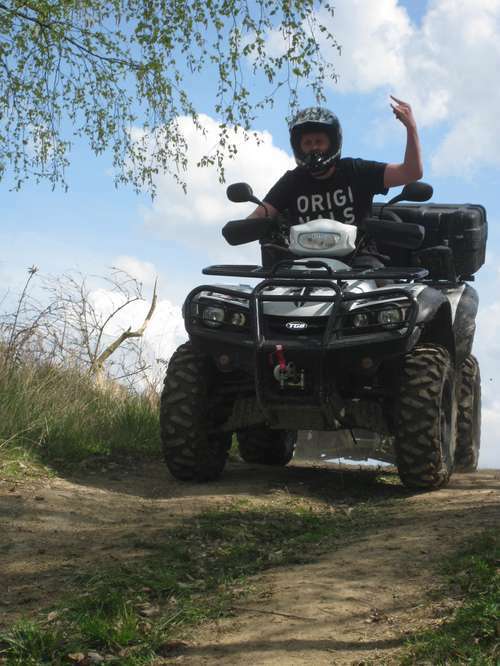 Your English speaking instructor gives you the safety briefing and learn you how to ride quad bikes. It's time for the real fun! Your driver takes you back to your chosen address in Prague. Embark on another Enjoy Prague experience, or simply enjoy the rest of your day in Prague! Wear comfortable clothes and tight shoes. It was a great experience, very professional as well as personalised at the same time. Would strongly recommend. Organiser Martina was amazing and responsive - even when we had to call her late in the night on arrival. Thanks for arranging transport etc. It was great fun at the quads bike. The awesome power and law challenging nature of 4x4 quads driving make it a must for all who can. 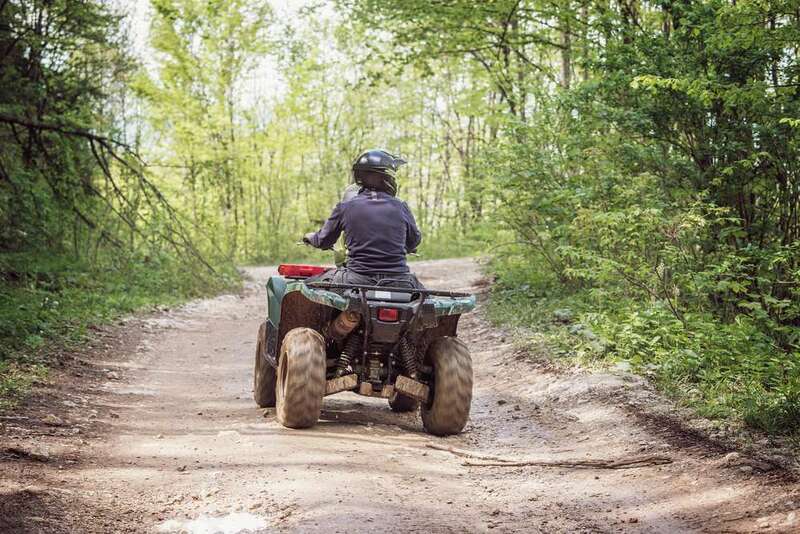 The quads, courses, and customer services are all top quality, which add-up to a safe way to enjoy this fun and exciting quad biking activity.